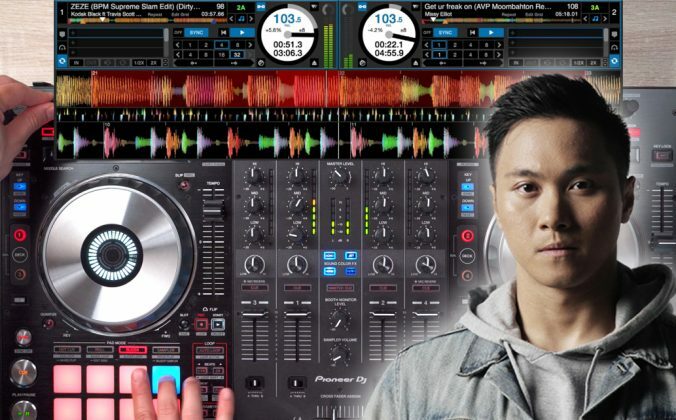 Review: The Pioneer DDJ-S1 DJ Controller: Is Big Beautiful? 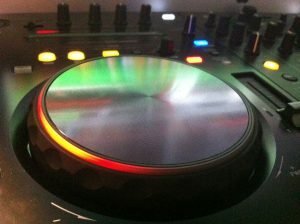 Pioneer, the biggest player in the DJ booth, has been lagging behind the rest of the pack with digital DJ controllers. 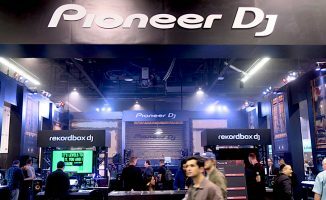 While others are onto their second and third iterations, Pioneer waited until the beginning of 2011 to announce its first digital gear.When it finally did so, the company launched not one, but two controllers – the DDJ-T1 for Traktor software, and the new Pioneer DDJ-S1 for Serato ITCH software. Today we present our Pioneer DDJ-S1 review. The DDJ-S1 is big! It comes in a substantial box, polystyrene-packed with the usual array of instruction manuals in various languages, power cords and regional adaptors, and the Serato ITCH software on CD. It’s big, but it’s not overly heavy. It has a metal base, but screwed onto that are two jumbo plastic feet that run from front to back of the unit, raising it well off the surface you place it on. The top of the unit is plastic, and it is set out as if it were three separate units, looking at first glance like two lower-end Pioneer CDJ players and a Pioneer two-channel mixer, with a few extra knobs and buttons for the digital controls. 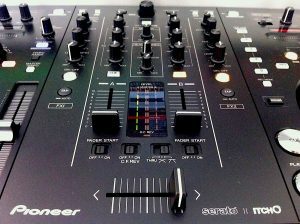 The overall impression is of a substantial but built-to-budget unit – it certainly doesn’t have the finesse of Pioneer’s higher-end analogue gear, but at the same time you just know it is going to work forever – it is clearly designed for pro use and would look at home in a venue, unlike many DJ controllers that can look more like living room toys.The size is part of the reason for this, but also the fact that it so much resembles traditional DJ gear, even down to the “CDJ” parts being identical in layout, as opposed to a mirror image of each other as with most all-in-one DJ controller. Using the analogy of cars, if most DJ controllers are like small hatchbacks, and a controller like the Numark NS7 is a stretch limo, then the Pioneer is definitely a 4×4 or a Jeep – not the most luxurious ride in the world, but you’d trust it to get you where you’re going in all situations!One nice thing I noticed is a decent USB cord and power cable. Too many controllers (some from manufacturers who ought to know better) come with flimsy cables and cheap power leads. Pioneer’s are chunky and feel like they won’t let you down. Twin XLRs for plugging straight into a PA, but no booth out and only one external input. 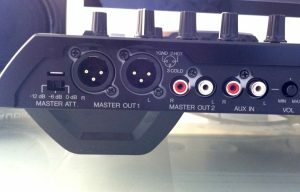 On the front of the unit are a 1/4″ TRS microphone jack, and 1/4″ and 1/8″ headphone jacks, plus a switch to route the microphone/aux inputs (more on that later) through software, directly through the unit, or to turn them off. Round the back there’s a power cable jack (the power input is optional, but the unit’s lights dim when running only from USB off the computer, and Pioneer advises not to run off a laptop that’s not plugged in to mains power) a USB jack, pro XLR balanced outputs and RCA outputs for the master out, a three-way master attenuator selector (adjusts overall volume out), and also a volume control to adjust the level of the Aux input. Finally, on the top, there’s a pro XLR microphone input. It’s curious that there’s no booth output or booth monitor control, because this unit is plainly designed to be used in situations where that might be useful – in public, maybe in a bar, or as the centre of a mobile DJ set-up. Then again, all but the biggest mobile DJ set-ups I’ve seen don’t tend to have monitor speakers, so maybe this isn’t such an omission for this niche of users. Each of the identical-looking digital decks has a big CD jogwheel, almost identical to that on Pioneer’s CDJ-400 DJ CD decks. That means big, mechanical, and noisy. The top of each jog is microswitched like the Traktor Kontrol S4, and the edge has finger grips in the plastic. It has some weight, and spins for a couple of seconds before stopping when flicked hard enough. In this way the jogs are unlike those on any other DJ controller, coming closest to the oversized jogs in the Hercules 4Mx in so far as their feel goes, and to those on the Traktor S4 as far as the microswitches for the scratch panel on the top go. You suspect this is part of Pioneer’s plan – to make the unit instantly recognisable to CD DJs. 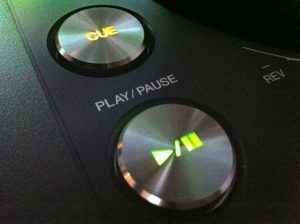 The tempo control is long-throw and typical Pioneer (apart from the ubiquitous-in-digital “sync” button), as are the big, vertical-stacked cue and play/pause buttons. There is a looping section and a hot cue section on each deck, a vinyl speed adjust knob, and various other minor controls such as key (“master tempo”), vinyl/CDJ mode, vinyl speed adjust, slip, reverse and shift buttons. The big innovation here is a needle search strip. Well, we say big innovation, but the Numark NS7 got there first with this function, but nonetheless it’s welcome to see it – it’s basically a strip that lets you touch along it with your finger to scrub quickly through the playing tune, and it doubles up on the Pioneer unit as an alphabet search for your music library too – nice. Finally, at the top of each deck, are a set of microphone controls, with volume and full three-band EQ for each of the two microphones – a feature that ought to have mobile DJs nodding in approval, as will the talkover option for each channel. The mixer section takes its visual cues (and many of its parts) from Pioneer’s analogue mixers. Aesthetically divided from its adjacent decks by two indented lines in the plastic, the mixer section – like the decks – has a few extra bits and pieces as well as the standard mixer controls. Those standard controls first: there are two channels (this is a strictly two-channel system – Serato ITCH can have four decks, but not with the DDJ-S1), each with a channel fader; three band EQ; gain (“trim”); cue select; and a nice innovation – fader start, that allows you to autostart a track at the start or the default cue point (if set), simply by opening the crossfader. This import from Pioneer’s digital gear is nice for performing stutter start effect or just for convenience for non-beatmatching DJs, and is a feature that to my knowledge doesn’t appear on any other DJ controllers other than the Numark NS7. The crossfader, while non-replaceable, has a crossfader reverse switch and a curve adjuster switch (two curve options, plus the option to switch the crossfader off totally).The usual master out, headphone cue and headphone mix level controls sit above the seven-band VU meters, which have a stereo master output pair and separate A and B pre-fader monitoring for easy setting of gain levels. So to the extra stuff. To the outside of the channel lines are the effects sections, of which there are two. For each, you can select the effect you wish to use with a stepped rotary, adjust the parameter with a similar control, and set the wet/dry (“level depth”) with a third centre-clicking rotary. A tempo tap button completes these sections. The effects can each be assigned to A, B, aux or master. Finally for the mixer, there is a relatively comprehensive (on paper) library section right at the top. This lets you navigate the provided software’s file system, with a big knob for browsing, and buttons for crates, files, browse and prepare functions, and an area focus move button (which doubles up as a record on/off button when used with shift). 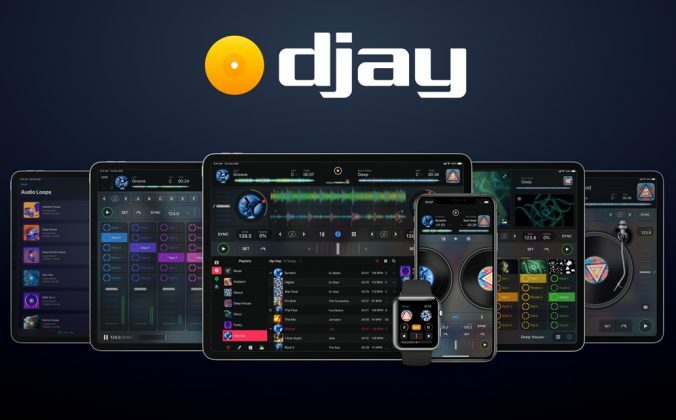 Digital DJ controllers and software are sometimes notoriously difficult to set up, with driver installs, software installation, software configuration (audio, controller, mappings), and so on. The fact that this system comes with Serato ITCH software is definitely on its side. We’ll discuss the software briefly a little in a second, but suffice to say that with a Mac, you just install the software and plug in, and with a PC, apart from having to install an ASIO driver for the sound, it’s equally simple. This is a controller review, and the software supplied – Serato ITCH 1.8 (if you already have Serato ITCH it will probably be 1.7 which doesn’t work with this controller – you need to use the supplied software or download the Pioneer-specific version from the Serato website) – has already been thoroughly reviewed by us in our Serato ITCH 1.7 review, so if you want to find out more about it, that’s where to go. The controller integrates tightly with Serato ITCH, making it easy to use out of the box. 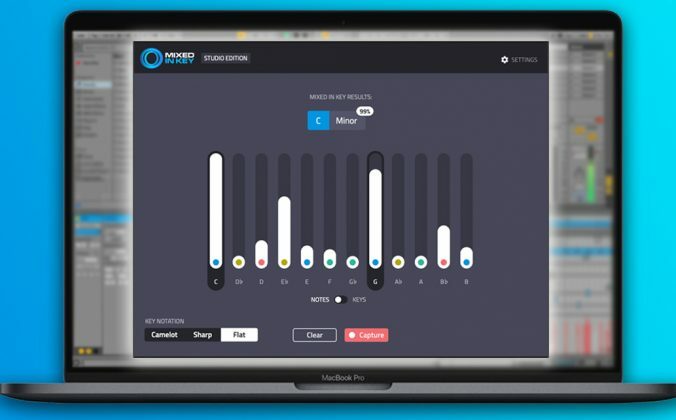 Suffice to say that the point of Serato ITCH is that it is simple to install and use, allowing the DJ who is maybe not so fussed about all the latest bells and whistles to just get on with the job of playing tunes. If this sounds like you (and with a strictly two-channel system such as this, if you’re still reading, it probably is), you’ll probably get along extremely well with Serato ITCH. The software has two modes: A library mode when you’ve not got the controller plugged in and switched on, and the turntable mode when you have. All tracks need analysing which, as with most DJ software, is best done before your gig, and you can do this from the “offline” mode. Where to put your laptop? Pioneer makes a big deal about the fact that you can tuck your laptop underneath this unit, possible thanks to the chunky feet that raise its body high up enough to allow this to happen. On the plus side, doing this makes everything look neater, tucking the laptop down out of the way so the DJ looks like he’s actually DJing and not checking his emails. Pioneer makes a big deal about the fact that you can tuck your laptop underneath this unit, possible thanks to the chunky feet that raise its body high up,..
On the minus side, it removes your ability to use your keyboard. From doing a quick search of your collection (even with the alphabet search strip, nothing is as fast as typing into the instant search box), to deleting loop points, there are many functions that still need the keyboard. While I can see some DJs taking Pioneer up on this neat little design angle, I can see just as many others realising that taking their keyboard away from them is a step too far. I think some of the first group may end up joining the second group after the first time that they find themselves having to extract their laptop mid-gig to do something or other on the keyboard! 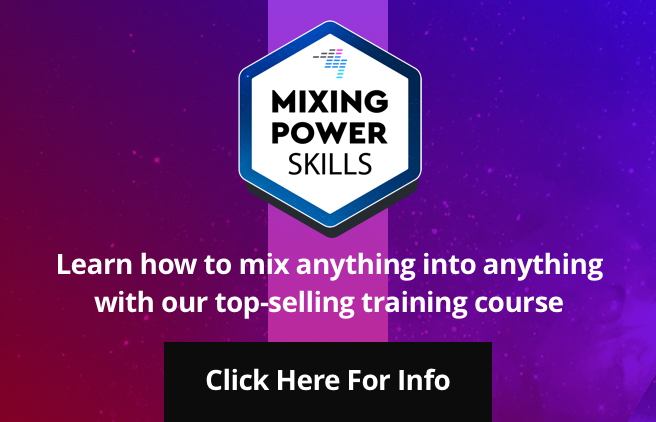 Mixing is simple and fun. Any DJ who has ever used any other controller or a CDJ set-up will be going in absolutely no time. The EQs are great, killing to nothing, and the gains (along with the separate gain VUs) allow great control over volume. The platters are completely responsive and tightly mapped to the software, so feel exactly as they should. Red lights move clockwise around the jogwheels to show you that the track is playing. Red lights move clockwise around the jogs to indicate movement, and you can select two “types” of illumination to suit your taste. Either way, this look great and adds to the natural feel of mixing with the unit. The needle search works well and allows for really fast access to any part of your track. The headphones volume is loud and clear, and the sync works as it should. Moving the pitch fader to where it “should” be on a synced deck allows you to take over pitch manually. There are a generous five hot cues per channel, which work in a standard way, using the shift button to delete them. There is manual and beat-matched looping, and a nice feature with manual loops is that if you hold the “in” or “out” button and use the jogwheel, you can adjust the exact in or out point, and the waveform freezes to let you do so visually as well as audibly. There’s no loop move feature, though. The slip button is a nice addition, which allows you to scratch or otherwise manipulate the current song, carrying on where you left off as if you hadn’t done so upon releasing the jogwheel. This also works with loops and reverse, allowing you to duplicate the functionality of censor and loop roll functions on other controllers. I took the Pionner DDJ-S1 controller down to a beach bar residency of mine and played a four-hour set on it to give it a good road test further, and it definitely got a thumbs-up from other DJs for looking the part, and felt great to use – I soon forgot about the gear and got into the music, which is how it should be. When I take gear out to test it for the purpose of reviewing it, often there’s a niggle or two that take some getting used to, or a feature that I keep tripping up on, but there was nothing that caught me out or had me panicking and looking for a solution in the whole four hours. The effects section worked OK – I tried my usual personal choice of high pass, low pass, phaser and echo effects in my set and they all sounded fine.The only disconcerting thing was that once, when switching from one effect to another, there was an audible blip in the music.Nobody noticed, but I did, and I don’t like any weakness in my gear that affects the final sound, however insignificant. Best to switch effects when a channel isn’t live. It may be a Serato thing and not a Pioneer thing, and another thing that’s definitely a Serato thing not a Pioneer thing is that there is no “universal” filter control like on Traktor and Virtual DJ, where turning a knob left is a low-pass filter and right is a high-pass filter.Such a control would save changing between two types of filter to use these effects. 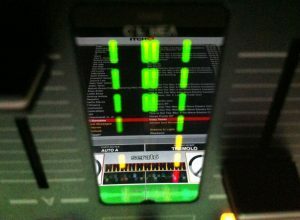 There’s even an “Easter egg” in Serato that lets you do this using the bass EQ, so it would be nice to be given this as an effect option in the standard effects too.However, the positioning of the effect on/off and wet/dry knobs, right there on the mixer by the EQs, is such that they’re easy to incorporate in your mix, so that’s a plus point. The library controls are good but don’t work exactly as the manual says they will. You can sort by column by pressing shift and touching the strip search bar at the edge. Touching at the right edge will sort your tunes using the column at the right of the one currently used. Touch at the left edge to sort by the value of the left column. This was important for me as I like to DJ by sorting variously by genre, BPM and key as well as artist. Features such as the round, vertically stacked play-pause and cue buttons mean the unit looks and feels immediately familiar to CDJ DJs. However, the library buttons are meant to allow you to toggle between list view and various artwork views in your library, which I couldn’t get to work. And generally, while there are lots of buttons and a knob for selecting your tunes, many of the buttons duplicated each other’s functionality somewhat. I get the impression that there will be more functionality here in later versions of ITCH that for whatever reason didn’t make it into the current version. The aux in at the back of the unit is routable through software to allow you to make use of Serato ITCH’s effects and so on (as are the two microphones), but assuming you have the mains power plugged in, you can also route this straight through the unit in order to give you a backup in case of computer crash. I tested this and it works fine – but you do have to remember to leave the mains power plugged in, as obviously if you remove the USB power source, the unit can’t function without it. This is probably the only DJ controller (along with its Traktor-paired sister, the DDJ-T1) that Pioneer could have come out with to introduce itself to the digital market. It would have been madness for them to veer away from their trusted look, feel and feature set just for digital, and so they’ve gone with with a controller that basically looks like their current lower end pro gear, all shoved together and with the CD player bits ripped out. 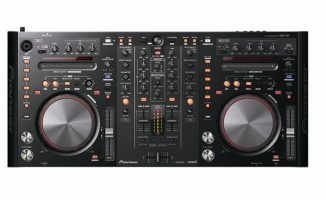 It’s not the most refined or sophisticated controller around (I would love to see Pioneer’s take on a DJ controller resembling two CDJ-2000s and a DJM-800, for instance) and its feature set is more limited than that on many DJ controllers costing less, but what it does have is what 90% of DJs will ever want, and in the fader strip, alphabet search and auto fader start, it has some distinguishing features. 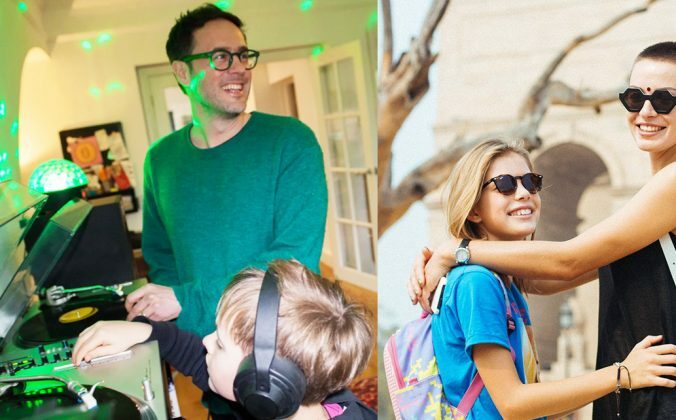 More to the point, it will feel immediately familiar and comfortable to what I suspect is a huge number of DJs who haven’t been convinced by many of the small, cram-it-all-in DJ controllers from many other manufacturers. 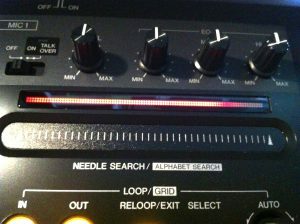 The fader strip with alphabet search is a feature that marks this controller out from others. Its mix of inputs and outputs (two microphones, pro XLR outs, emergency thru but no true line/phono inputs to use it with real decks or external CDJs, and no booth out) mean that for pro mobile DJ or bedroom use it’s fine, but as an all-rounder at the heart of a hobbyist DJ system or the only unit in a bigger installation set-up, it’s lacking. Also, you wouldn’t want to turn up in a crowded DJ booth and try and squeeze this in among the CDJs, turntables, mixers and other DJs’ gear – you’d probably get lynched for trying! It’s no surprise that Kontrol X1s are so popular even with controllerists, because with some clever mapping, they can be used to control DJ software absolutely fine and take hardly any space at all in just such situations. In the same way you’d never turn up at a club as guest DJ with a Numark NS7, you wouldn’t want want to turn up with this either. 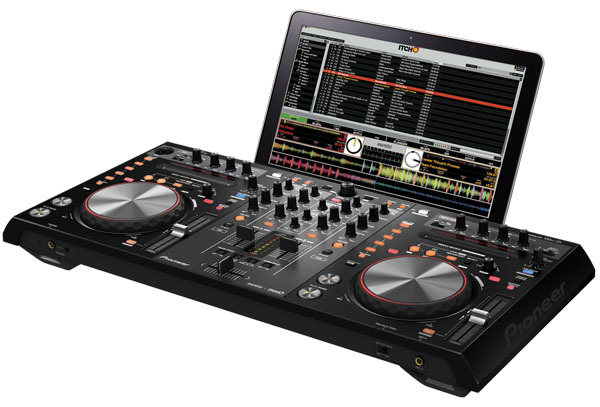 So: For mobile DJs, professional DJs who want a club feel for their home practice set-up, and digital DJs who want gear that looks and feels like club gear (for their image, or because they one day want to play on standard club gear so want to be learning on something similar), this is an appealing choice. Choosing between this and the DDJ-T1 is another thing. The DDJ-T1 (review coming shortly) is a four-deck Traktor controller that has more “power” features but less connectivity, and would be less suited to mobile DJs and more suited to electronic dance music lovers and serious hobbyists who again value the Pioneer “feel”, whereas the DDJ-S1 is more aimed at those who just want to play and mix music, no fuss, but would like to do it digitally. The bottom line? I’d love to play my beach bar sets on this every week – it looks great, you forget you’re using it, and it does practically all I want to do, plugging straight into a PA with the XLRs and with the security of my iPhone plugged in as an emergency backup. Like at many small gigs, I don’t need a monitor (the PA is close to me), and I don’t need extra decks or sources – but I do need to plug the occasional microphone in for the management to use for whatever reason, and this can handle that professionally too. If this all sounds like you, it’s on your shortlist. Of course, you have to be happy with Serato ITCH, and you have to be sure that you’re not going to want four channels, sample decks, to add timecode vinyl or CDJs later, and so on. If you fit this profile, and you want that Pioneer DJ booth feel, the DDJ-S1 should should suit you perfectly – as long as you can stretch to its pretty significant cost. 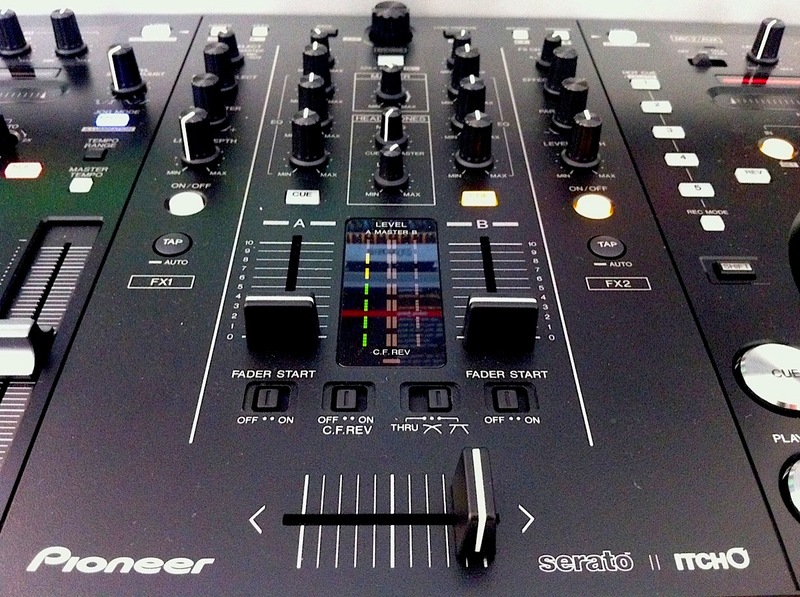 Does the Pioneer DDJ-S1 controller appeal to you? Have you got one, and if so, what are your thoughts on it? Do you think it’s fairly priced? Let us know in the comments please. “undisputed leader in the DJ booth”? Good review Phil, I might end up buying it once I get the money the controller seems like it’s decent enough, and seems like it’ll be good enough for me. Would you recommend it to a young upcoming dj? If you can afford the steep price, it’s a great basic controller that gives you the best introduction to DJ booth-style gear you can currently get from a controller. Have the piece and love it. Pioneer nailed it,the above poster spoke of it in a DJ booth,but from it’s aesthetics,it looks more suited for mobile dj work. This works for me just fine..
Good review Phil, I’ve also watched the video review on youtube. I’m definitely buying one. What I want to know from you is which one should I get? DDJ-S1 or DDJ-T1, as far as I’m not using a Mic. Software. If you want to use Traktor, DDJ-T1; Serato, DDJ-S1. I really have no idea what to purchase!! I can see that the world of the DJ seems to be heading slowly but surely into the “controller” direction however how similar is this to using actual cdjs? I’ve been using CDJS my whole dj career and i am a bit reluctant to purchase one of these when perhaps it bring what I am used to. 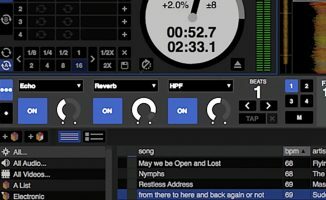 I am pro-serato and have been using this software since it was released! I need some convincing if i am to get me one! Definately cheaper than purchasing some cdj 2000’s!!! 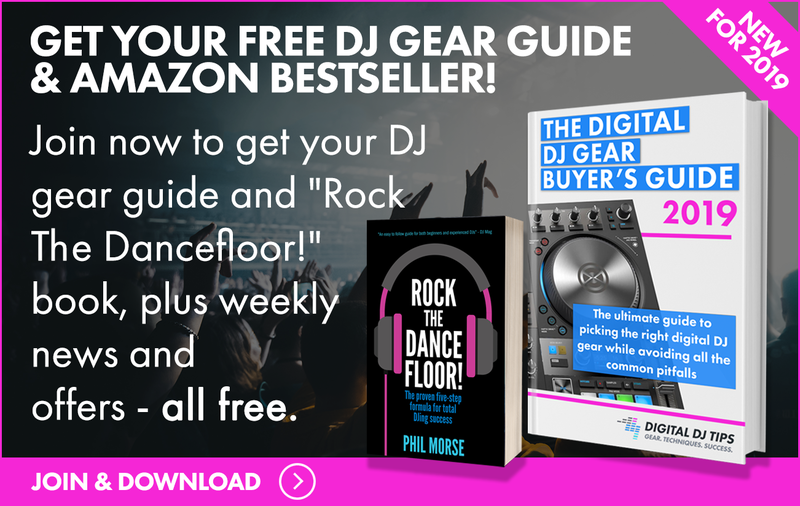 The DDJ-S1 is the closest you’ll get to using two Pioneer CDJ-400s or 350s. It has the same feel as CDJ350/400s, not as CDJ1000s or 2000s though which are much more “pro” than the 350/400s and the DDJ-S1. My best mate owns a pair of 1000’s and what we have noticed is the overheating after some hours of use. what about the build quality of this magnificent tool (as i can see from all the reviews ive read and youtube videos), especially now that this is not a 2 seperate pieces product but a “bundle” of 3 pieces (adding the mixer) in one console ? It is built to the same standard as the CDJ-350 or CDJ-400 player. It won’t overheat for sure as there’s nothing inside that could overheat it. you says that it fells same as cdj 300/400 i.e because of the size of the jog wheel right?? Yes, same quality too – ie not anything like CDJ1000/2000. This midi controller is very nice, but if you are looking for a multi-purpose controller search for NUMARK MIXDECK QUAD which combines CD PLAYER, USB PEN-DRIVE, MIDI CONTROLLER + 4 CHANNELS MIDI MIXER 😉 . Took 5 years draging and kicking to give using vinyl, it has taken the same to convince me to give up Cd’s and go to a laptop. The DDJ-S1 convinced me – easy to use – software easy to set up – the only short fall is you cannot access the keyboard for quick searches when its under the controller. Being a old boy Dj finding all the new stuff I don’t listen to was the most appealling part of going digital. Easy to use if you have used pioneer equipment before. 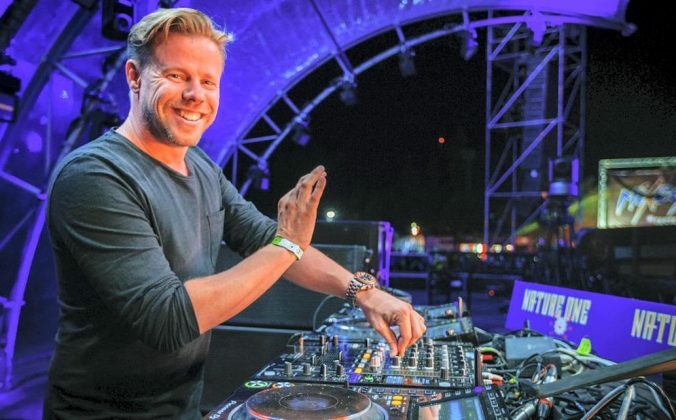 Glad you are enjoying your controller, and you’re right – digital DJing is great for music discovery! I’d go for Option 1 out of those two. I have the cdj1000’s mk3 and djm 600 and thinking of selling for one of these controllers. You’ll feel a drop in quality from the CDJ-1000s to these wheels. i did notice the lack of booth control. nice one for your response, they still look nice. It’s not like learning all over again, you’ll get it in about 30 seconds! my cousin used the ns7fx, nothing but problems and the customer service was terrible. went through 3 decks before he sold them for super cheap and picked up the s4. the s4 has been beautiful. phil thanks for the review. just a quick question. I know the s1 is designed for serato, and the t1 for traktor. I use traktor and prefer it but like the look and output options of the s1. am I able to use the s1 with traktor or do you not advise that? I guess it’s possible but I’ve not heard of anyone doing it and you’d have to manually map it. I spin with CDJ 1000’s, and saw a vestax vci 300 being used at bora bora in ibiza ( whch surpirsed the hell out of me), I became interested and decided to purchase it to educate myself more on the controller movement. I do like for private parties and quick transport but now I wanna try something a little more entertaining. Though at clubs I still use my cdj’s I was wondering if the S1 can provide somewhat of the same output at a small nightclub? 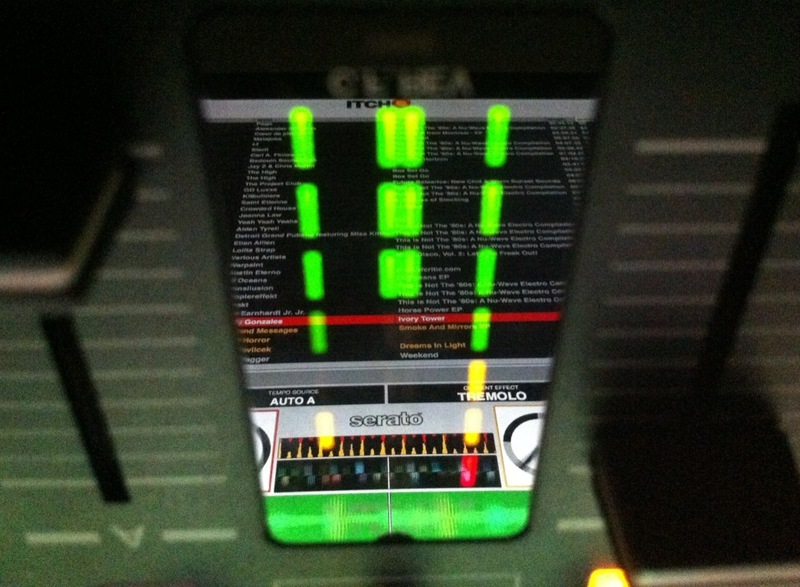 Yes, you could use the S1 in a club. Exactly the same as lower-end Pioneer CDJs. Is this the best Dj Controller on the moment, I’M surching for a professional Controller. I think i want to buy this one because it looks like the club standard CDJ players. hi all, the ddj s1 is great for mixing! i’m having lots of fun with it. one problem though, the microphone is not sounding right to me. there’s a big delay when i talk. i’m using the ddj s1 into the dbx 480 then to my amps.my microphone is the shure sm58 (i tried other mics – same results). anyone with this problem? please help. I’d just like to point out that plugging in a USB keyboard and setting it off to the side is a quick-and-easy fix for the keyboard problem mentioned above. Hi Phil, I’m deciding between either this or the DDJ-SR.
I’m a relatively new DJ getting small gigs here and there, and I’m in love with Serato. I’ve been using a VCI-100mkII, and I just want a bigger unit. The S1 is older, but less flashy and I’d rather not look like I’m posing as a pro with the SR even though it looks like the no-brainer here. Help? I think this is a best dj controler for me. I am just starting my carear in djing. I just need to know is S-1 has a sync button for beatmaching? I will like to buy it. You can email me at daliaparveen4@gmail.com. 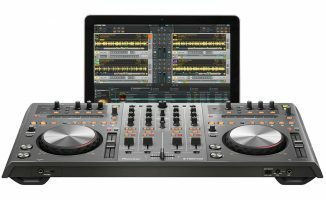 Hey Phil, I have a question for you about this product (DDJ-S1.) I know you did the review 3 years ago. Since there is no booth output, will I be able to use this controller with my amp to run my 2 passive top speakers that still require an amp. I have powered subs and 2 passive tops. Ususally you’ll run the subs from the tops or vice versa rather than running one set from the booth, so in that usual case, no problem.